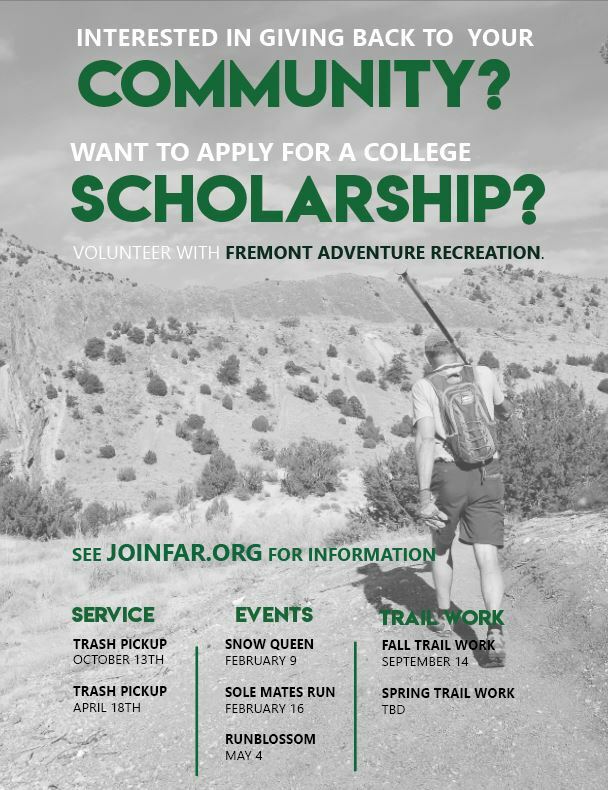 Starting in 2015, FAR has awarded scholarships to graduating seniors at Cañon City High School. Cañon City High School graduating seniors are eligible to apply only if they have VOLUNTEERED or PARTICIPATED in a FAR event during the last three years. The 2018 Scholarship application is included in the CCHS scholarship package, but reviewed by the FAR board. Please contact coordinator@joinFAR.org for more information.